Gnocchi – delicate Italian dumplings made from potatoes and traditionally served as a first course – are a versatile and delicious alternative to fresh pasta. Most Italian regions have their own version of these soft pillows of goodness. 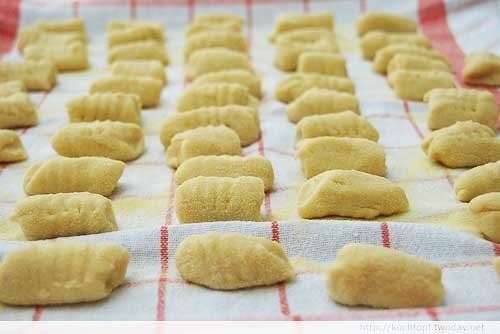 To learn how to make traditional gnocchi, join our instructor, Modena native, Romina Montanari for a hands-on session. The class will be held at Mid-City Kitchen in St. Paul. Romina, will demonstrate and guide you through the process of making your very own gnocchi! Each participant will sample gnocchi in a light sauce and enjoy a glass of wine in a fun atmosphere. Everyone will take home the gnocchi they just made. All ingredients are included, but please bring a large cookie sheet and two cloth kitchen light towels to carry your gnocchi home. The event is scheduled for Sunday, March 26, 2:00 – 4:00 PM. The location is easy to find, conveniently located near the Green line of the light rail. If you choose to drive, free parking is available. As always, all events must be cancelled at least 72 hours in advance to receive a refund, less administrative costs.